The transportation component of GroveCity2050 builds upon the Plan’s land use recommendations to define a vision for the future transportation network that considers multiple forms of transportation. It establishes a hierarchy of streets and design criteria to support the land use vision and provides strategies to continue expanding the City’s road network, bikeway system, transit service, pedestrian infrastructure and other mobility needs over the next 30 plus years. For additional information, view the Transportation chapter of the GroveCity2050 Community Plan. 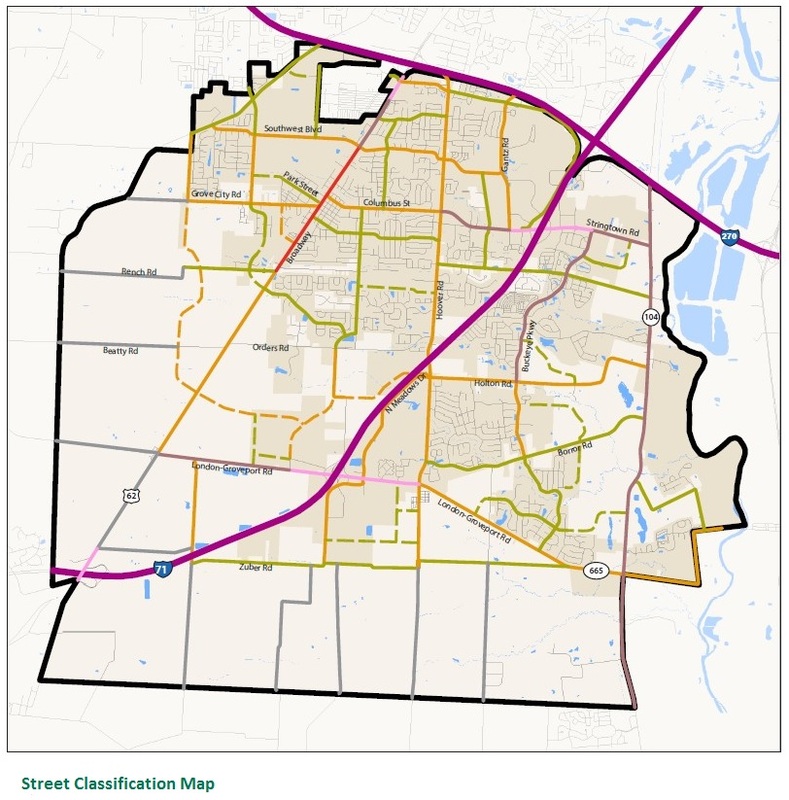 View the GroveCity2050 Street Classification map. Smart and safe transportation choices that offer reduced congestion, support and encourage desirable growth and character of place, and integrate private vehicles, public transportation, biking and walking.